Here’s the deal. I normally don’t get that excited about granola bars. Yes, I eat them on occasion, but more often than not, that choice is borne of necessity. 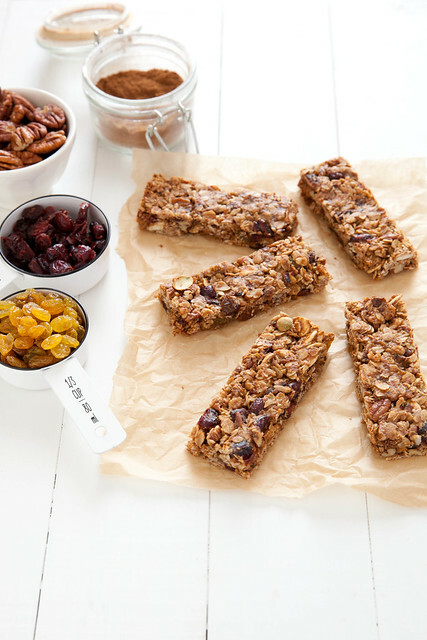 I’m on the go, haven’t had a chance to eat and know I won’t for a while – a granola bar is an easy, (should be) healthy choice. Given that I make all sorts of staple items from scratch, you might think I’ve been making granola bars for years. They seem simple enough right? 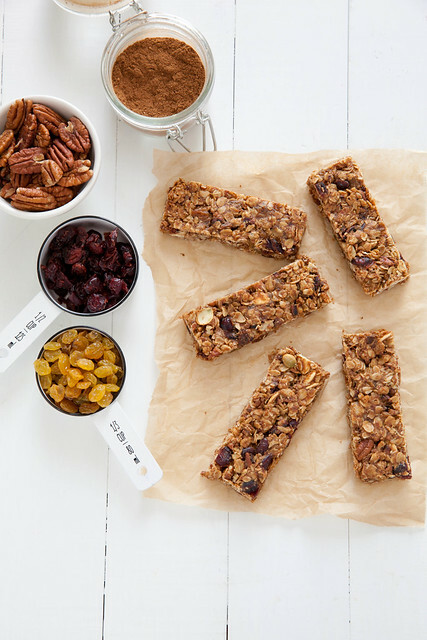 Oats, some nuts and fruits, stuck all together and sliced into bars. Yes, they seem simple but at least in my experience, that hasn’t been the case. I’ve tried so many recipes from normally reliable sources but found trouble at every turn. Mushy, dry, too sticky, not sticky enough, too full of sugar, and the list goes on. I had nearly given up hope but decided the prospect of a pumpkin spice granola bar was enough to coax me to try again. 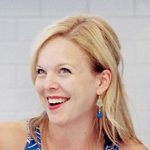 After reading about ratios, binders, and more until my eyes crossed, I came up with a game plan, tested it out, and waited nervously to see what the final result would be. I’m pretty sure I heard choirs of angels sing when they came out of the pan intact (yay! ), sliced neatly (oh yes! ), and had a perfectly chewy texture. The bars are naturally sweetened with dates, honey and maple syrup so there is no need for added sugar, another advantage compared to most commercial bars. Now, lest the pumpkin spice police get up in arms – I did not actually use pumpkin in these bars. The flavor is so mild that you would need a lot of pumpkin to actually make a difference and the moisture of the puree is something I wanted to avoid for fear of affecting the integrity of the bars. The pumpkin pie spice and pepitas are pumpkin enough for me, but if you require pumpkin, feel free to substitute a few tablespoons of pumpkin puree for the sunflower seed butter. Be warned, they may not hold together as well. Now that I have the base recipe figured out, I’m excited to play around with other flavor combinations and different mix-ins. It is so on. Preheat the oven to 325˚ F. Line a 9 x 9-inch baking pan with parchment paper. In a large skillet, melt 1 tablespoon of the butter over medium heat. Add the oats to the pan and cook, stirring occasionally, until lightly toasted and fragrant, about 5 minutes. Remove to a large mixing bowl. Return the pan to the heat, melt the remaining tablespoon of butter and add the chopped pecans and pepitas to the pan. Cook, stirring often, until lightly toasted, about 3-4 minutes. Remove to the mixing bowl with the oats. Stir to blend. Add in the puffed rice cereal, cranberries and raisins and stir gently. In a medium bowl, combine the date puree, sunflower seed butter, honey, maple syrup, vanilla, salt and pumpkin pie spice. Stir together until evenly blended. (If the mixture is thick and difficult to stir, microwave for about 15 seconds and try stirring again.) Add the wet ingredients to the bowl with the dry ingredients and fold together until evenly mixed. Transfer the mixture to the prepared baking pan and press firmly into an even layer. Bake, rotating halfway through the baking time, until the bars are just set and beginning to brown around the edges, about 24 minutes total. Transfer the pan to a wire rack and let cool to room temperature. Use the parchment paper to lift from the pan and slice into bars. If necessary, chill in the refrigerator before slicing.